Royal Bibingka is a Filipino rice cake usually served on Christmas season and special occasions. 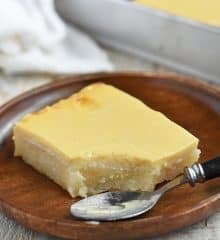 Made of glutinous rice batter and topped with cheese, it makes a hearty, tasty, and gluten-free dessert or snack. I am sorry I haven’t been posting for a while. Already on the last leg of November and all I have are but six recipes to speak of. Ugh, I should work on consistency; the busiest season of the year is not the time for me to slack off. The truth is, I’ve been cooking nonstop these past weeks, working diligently on special recipes for the coming h0lidays. I do have a good number of dishes all done, one being this Royal Bibingka which happens to share the top spot with cassava cake as my favorite kakanin. If you’re looking for the ultimate dessert to round off your Noche Buena feast, this delicious rice cake is for you! 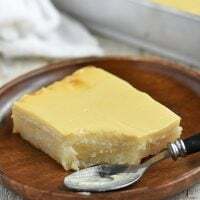 Like bibingka and puto bumbong, Royal bibingka is traditionally associated with the Christmas season but unlike the two which use regular rice batter, this Vigan version is made of glutinous rice for a chewy, mochi-like texture. This Filipino delicacy is not only delicious, but it’s also easy to make for a crowd or anytime cravings; you can have a whole pan ready to enjoy in five simple steps and less than 40 minutes! 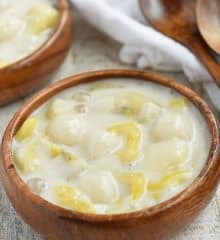 In a bowl, whisk the glutinous rice flour, sugar, coconut milk, evaporated milk, and eggs together into a smooth batter. Pour the mixture into a well-greased baking pan, cover with film, and then bake in a 350 F until set and a toothpick inserted in the center comes out clean. Take the pan from the oven, uncover, and generously brush with butter. Sprinkle about 1 tablespoon of sugar and shredded cheese on top. Bake for another 4 to 5 minutes or until cheese is melted and top is golden. Remove from the oven and allow to cool before slicing. 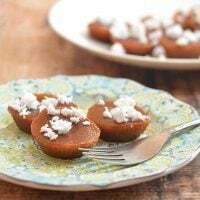 In a large bowl, combine glutinous rice flour, 1 cup of the sugar, coconut milk, evaporated milk, and eggs. Whisk together until batter is well-blended and smooth. Generously grease an 11 x 9 baking dish or 10-inch cast-iron skillet with margarine or butter. Pour rice batter and tightly cover with foil. Bake in a 350 F oven for about 15 to 20 minutes or until mixture is set and a toothpick inserted in the center comes out clean. Take out from oven and remove foil. The sides of the rice will be puffed up, just push them down a little to subside. Generously brush the top with margarine. Sprinkle with the remaining 1 tablespoon sugar and cheese. Return to oven and bake for another 4 to 5 minutes or until cheese is melted and the top is golden. Remove from heat and allow to cool completely before slicing. What kind of cheese did you use? Just regular American cheese or sharp cheddar or mild cheddar? Hi Lalaine. I really want to try this but I dont have 12 inch pan as of the moment. Can I use cupcake pan for this? Is the temp and cooking time be the same? I’ve never tried it in a cupcake pan but I think it would work. Kecap manis is an Indonesian sweet soy sauce. If you can’t find it, just add brown sugar or molasses to regular soy sauce. Thank u so much for the recipe. I will try it today. Hi. Is there a chance we can steam instead of using an oven? 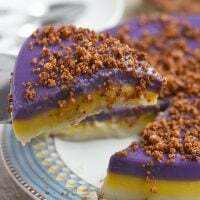 Hello po…..gusto itry ang recipe nato but can i use glutinous rice talaga hindi flour tapos i papa grind ko nalang……thank you pala don sa coco macaroons……ang sarap ………. 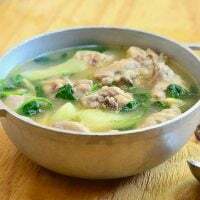 Can you make this recipe without using evaporated milk? 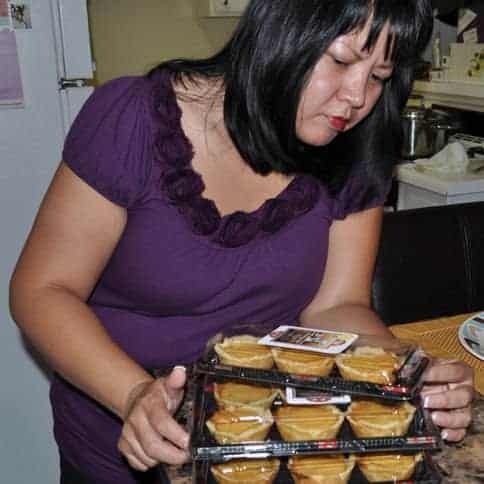 Will it be possible Lalaine to use a steamer instead of baking? I don’t think this will work in a steamer. Or at least, I’ve never tried in cooking it that way. Can I use dissolved coconut milk powder instead? What’s the measurement? Thanks! About 1 to 1-1/2 cups of coconut milk powder for 1 cup of water.